For the first time in six years, that tremendous buzz floating around Shea Stadium wasn?t simply a product of one of those commercial airliners taking off from nearby LaGuardia International Airport. As Mets fans prepared for their team?s first postseason game since 2000, they were joined by some celebrities and entertained with some celebratory pregame festivities. There was even a flyover by a few jets, none of which had Delta, American or United imprinted on its side. While the Mets took batting practice before Wednesday afternoon?s game, they watched manager Willie Randolph burn off some nervous energy by taking some ground balls with his players. A few fans also took time to yell, ?Thank you? to Mets general manager Omar Minaya, who constructed a team that finished with the National League?s best record. One of the fans held a sign that read: ?Travel Plans — $75, Ticket Price — $300 and Mets Baseball in October — Priceless.? Based on my experiences in Queens, I?m going to guess the $75 was simply the cost charged by the car service that had brought this fan a distance of about 10 miles. One of the fans in attendance, who didn?t need to worry about the cost of travel was Ron Howard. 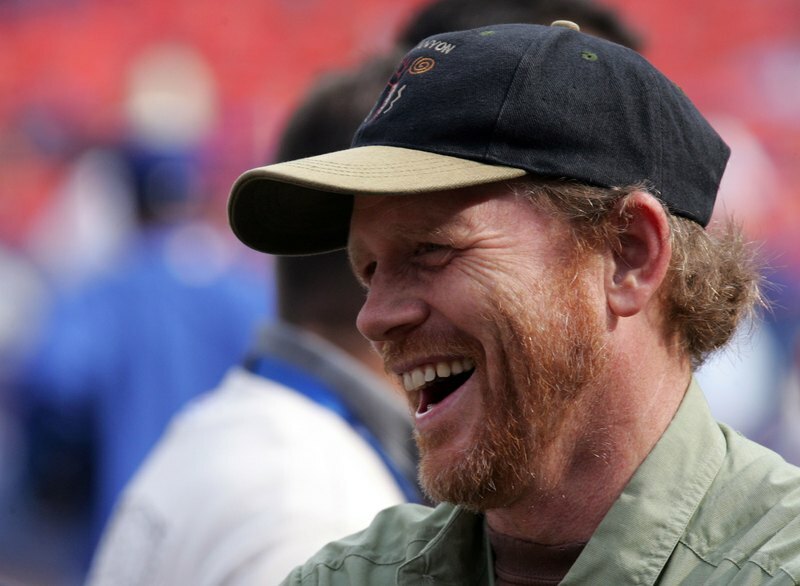 The former kid once known as being either the "Happy Days’" Richie Cunningham or Opie has grown to become a filthy rich, successful movie producer. Throughout all of his success, Howard has enjoyed on the set of Happy Days or while producing such movies as "Cinderella Man," he?s always maintained his love for the Dodgers. ?As Tommy (Lasorda) says, I still bleed Dodger Blue,? Howard said while giving me the pleasure of feeling like I truly was talking to Richie Cunningham. Don?t worry, before asking, ?Does Joanie still love Chachie? ?, I came back to the realization I was talking to somebody who was just thrilled to be at Shea to see the Dodgers and Mets play. He spent some time talking with Lasorda, the long-time former Dodgers manager, and then took time to express his passion for baseball during our informal conversation. While living in the New York area for most of the past 20 years, Howard?s appreciation for the Mets has grown. He calls them his second-favorite team and has done so since 1964, when legendary former Mets manager Casey Stengel spoke to him and a group of other young children. But when asked for his prediction for this National League Division Series, Howard said, ?I?m hoping the Dodgers win. I guess it?s the dramatist in me that always pulls for the underdog.? When the Dodgers hit four straight homers to begin the ninth inning of the Sept. 18, 10-inning victory over the Padres, Howard was in a hotel room. While watching the amazing comeback unfold, he was following the game on MLB.com?s Gameday. It was one of those amazing endings that seemed perfect for Hollywood, right? ?I?d be thrown out of the office if I submitted that,? Howard said. ?That?s like [Jim] Braddock winning in ‘Cinderella Man.’? Braddock was the over-the-hill, underdog boxing character that Howard created as the main character for his highly-acclaimed film. If Howard were producing and directing this Division Series for Hollywood, the Braddock-like character might be played by the Dodgers’ Marlon Anderson, who in the end would become the unsung hero with a game-winning extra-inning homer. Willie managed an aggressive game with his ‘pen today and I’m impressed. Pitching wins in October… but nobody ever said it had to be starting pitching. And these Dodgers don’t lay down for anybody. It’s gonna be a wild series. Do our predictions really matter?